Candles and romance go hand in hand. 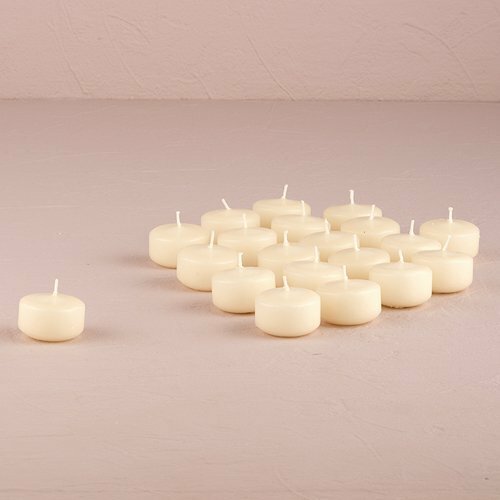 Add some romance to your event with our round floating candles. Each candle is 3" in diameter, with an approximate burn time of 12 hours. 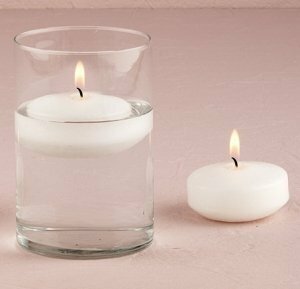 Sold in a package of 3 candles, in your choice of white or ivory.